It's a development that has lifted the spirits of everyone involved in road racing. When, due to financial pressures, the Loughshinny MCSC were forced to focus on the Skerries 100, the loss of the annual Killalane Road Races, the traditional end-of-season event, sent ripples through the road racing community. 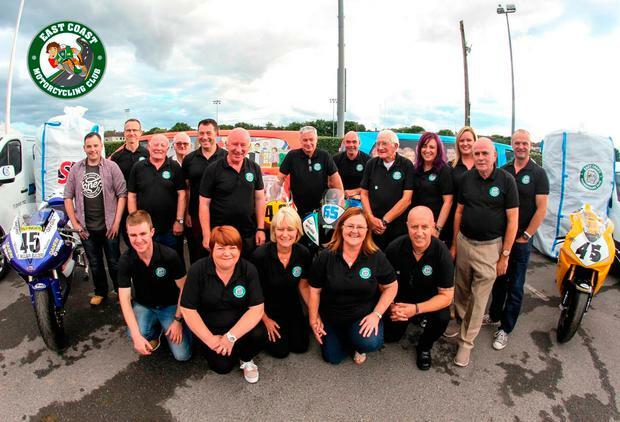 The absence of the Killalane event, which had been running since 1984, prompted a group of enthusiasts to form a new club, the East Coast Motorcycling Club, with the express aim of staging a new championship closer. It was a massive undertaking. But the hard work and dedication of the north County Dublin committee paid off. "The riders missed it," says East Coast PRO Myles Lally. "The town's people missed it. The fans missed it. Everyone felt it would be a long winter without racing. So we revived it. People worked really hard to bring back the season finale." Last year's inaugural East Coast Racing Festival, on the famous 3.6 mile Killalane circuit outside Skerries, was a notable success for fans, with Gary Dunlop notching up his first win - a 125/Moto3 victory. Another headline grabber was rider Michael "Micko" Sweeney, whose combined results earned him the Man of the Meeting accolade. "Gary Dunlop will be racing here again this year," enthuses Lally. "And it was brilliant for our first year that Micko Sweeney was Man of the Meeting because he's a Skerries local. He won two Super Bike races against the likes of Derek McGee, Derek Shiels and the Dunlops." Much is expected of Sweeney this year. "He was on the podium at Armoy for the SuperSport race in July," says Lally. "And he was fifth at the IOM TT this year." This year's festival, on the weekend of September 8 and 9, promises to attract even bigger crowds, thanks largely to the support of new sponsors, Mrs. Brown's Boys. "We're always delighted to support community driven ventures and the Irish motorcycle community is such a close-knit community, they are almost a family," says Conor Gibney, Head of Branding for Mrs. Brown's Boys. "It's one family sponsoring another." "The East Coast Racing Festival is part of the Irish Road Race Championship series which starts off with Cookstown in April," says Lally. "We're going to have two races on Saturday after the practice sessions. On Sunday we'll have eight races. It's going to be exciting." Approximately 110 riders will compete this year. And other than the 600s, the Super Bikes and Classics, there will be four races for up-and-coming riders. 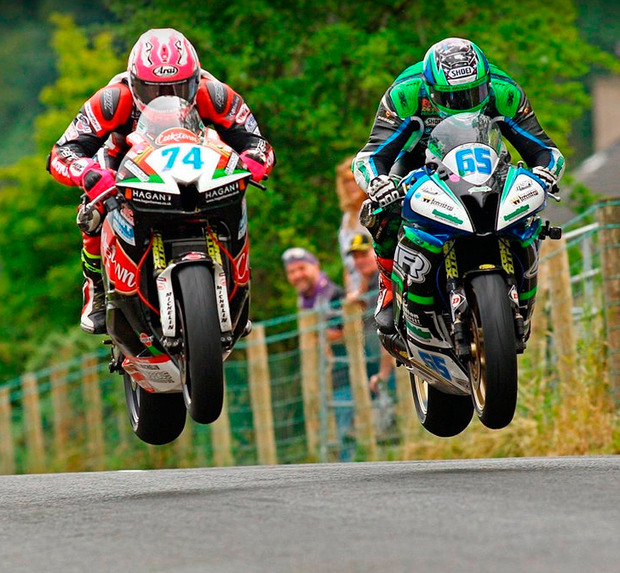 Currently competing in the Manx Grand Prix, "Micko" Sweeney is anticipating a great festival this year. "The organisers have done a fantastic job to getting this festival up and running," he says. "Everything was spot on last year. I had a really good run. And it was a great feeling, especially being from the area and beating the top boys. It was a great way to end the season. It gave me a great boost." Sweeney has been in top form recently, which his fourth place in the Ulster Grand Prix bears out. "I'm very confident at the minute," he says. "And am really looking forward to racing the East Coast circuit again because I expect the festival to be much bigger this year. Having the backing of Brendan O'Carroll is fantastic for the fans and the sport." Another feature of this year's event will be a special tribute to the late Martin Finnegan from Lusk who won 43 Irish road races. "This year is the tenth anniversary of Martin's death," says Lally. "All his race bikes, from his very first bike to his last, will be at the event. They'll all get a few laps on the Sunday in honour of Martin." The enterprising organisers have added one notable change at this year's event. "The programme is the only source of revenue that we have for maintaining the future of the event," explains Lally. "So as an incentive this year, we are making the programme the ticket to the event. It's €20 for two days' entertainment. The programme gets a person in on both the Saturday and the Sunday. "This year each programme will carry a unique serial number," he adds. "On race day we'll have a draw for €200 so it's important for people to keep the programme this year because not only is it the ticket to admission on both days but it's also potentially worth €200."